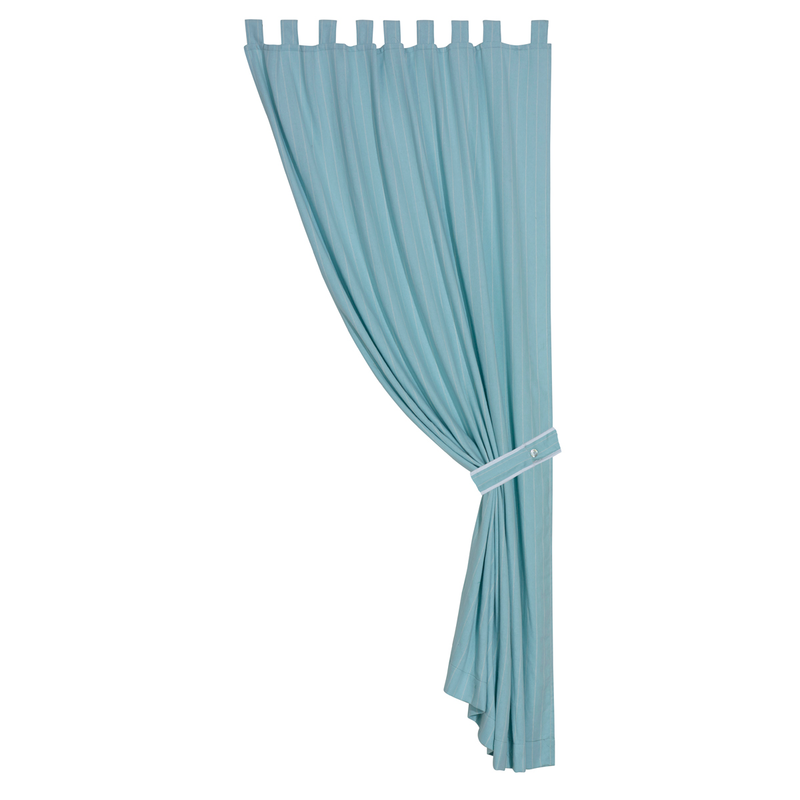 Give your room coastal flair with the Catalina Curtain, detailed with aqua and white stripes for a casual, inviting look. These coastal window treatments ship from the manufacturer. Allow 1 to 2 weeks. For further pieces, we invite you to take the time to view our extensive selection of beach bedding at Bella Coastal Decor today.